Recently I tweeted that the television series, Jane the Virgin, was a good motivator for me as a writer. For those of you who’ve not seen the show, Jane, the protagonist, is an aspiring author. Whenever she sits down to write on screen or she gets a ‘big break’ as part of her storyline, I get a jolt of inspiration and pull out my laptop. It got me thinking about all the ways in which I try to motivate myself to keep writing, especially with my current manuscript. I started it back in 2014. I wrote the first draft super quickly, because once I got started the words just came flushing out like water from a burst pipe. Back then, I had a lot more free time and I felt like I could take this time to pause and reflect because I had no deadlines and I wanted to make sure I put more care into the next drafts than I did with the first. The first draft became more of an outline as I began to refine and expand upon the story, the characters, the setting. Three years on and it’s beginning to feel like I’ll never get it to the point I want it. But I’ve committed and I do have half of a quite polished manuscript. I’ve given myself a deadline and committed to no more drafts until this one is finalised and sent out to Beta readers. My life looks awfully different than it did three years ago. Mainly because I became a mother and my days have become far fuller than ever before. So, how do I motivate myself to write in those precious hours between wrangling a baby, ‘keeping house’ and keeping my sanity (i.e. seeing friends/reading/general down time)? Podcasts. I prefer to listen to podcasts than to music when I go walking and I have a few favourites. Creative people are the best at encouraging creativity, and so whenever I listen to one of these gems, I always feel encouraged to get some writing done. Get it on with Dawn O’Porter – OK, so this isn’t actually about writing, but Dawn is a writer and she often talks about what she wears when she sits down to write, so I do find it inspiring. Social Media. Twitter is my go-to for connecting with other writers. Whether I’m asking a question, just wanting to chat or looking for someone to kick me into gear, I find this the best place to be. I feel like part of a community on Twitter, and people who know how to do Twitter right are the best people to ‘follow’. These are the people that engage with you like you’re an actual human, who are funny and kind and authentic. Posting your word count is always motivating, and lots of the people I follow often post motivational quotes and tidbits about their writing. Instagram is great too, but I feel it’s less about having a community and more about admiring pretty pictures (and prose). Reading in the genre I wish to write. I like to read all kinds of books; fiction and non-fiction alike. I’m in a book club for the very reason of broadening my scope of authors and genres. But when it comes to encouraging me to write, I have to read something that makes me strive to write in that way. That is commercial women’s fiction or general fiction for me. Doing a course. I’m enrolled in a Masters of Creative Writing, though I’ve decided to defer this year. I found my first year of study completely thrilling. I learnt so much and my writing really developed. This was in large part due to all the feedback I received from my peers when we had to workshop our writing. Though I love formal learning, I don’t necessarily think it’s the only way – often it’s not even the best way – to hone your craft. There are loads of great short courses and one-day workshops that focus on specific elements of writing. 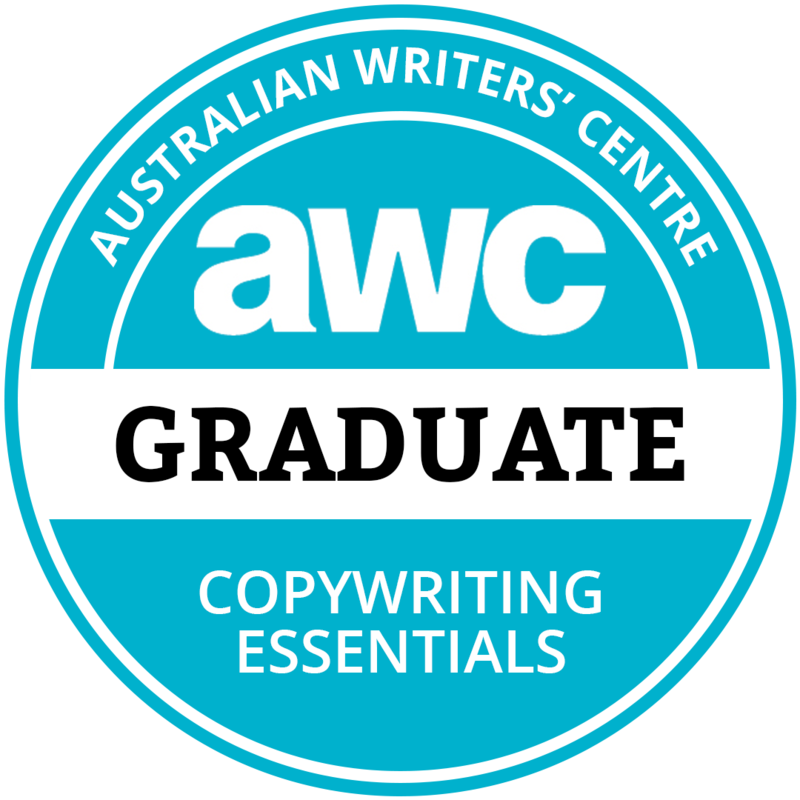 Your local Writer’s Centre will likely have a full years schedule of events and workshops, while the Australian Writing Centre offers lots of online courses at reasonable prices. Sharing my work. Though I’m not part of a Writers Group, I have made some wonderful writer/reader friends both online and off, who are generally always happy to read my work and give me feedback. Each person brings a different viewpoint and expertise. Not all of them are writers. I appreciate having people read things from an audience perspective as well as from a technical, writerly side. Procrastinating. Wait, what? How does procrastinating help motivate you, I hear you ask. I find it really hard to write at home if there are distractions, like dirty dishes, mounds of laundry or a filthy floor. If I have to be at home to write, which is most often the case, I need to ensure there’s nothing else I feel like I should be doing. So before I sit down to write, I very often do a sweep of the house; cleaning, tidying, throwing on a load of laundry, just to set myself at ease. Once that’s done, there’s no excuses and I find I am far more productive in the hour or so of writing time I have left. I’d love to know, what keeps you motivated to write? Oh yes. The editing/rewriting. I’m finding that stage more difficult than I thought I would. These are some great tips to stay motivated – best of luck getting your draft finished & ready for beta readers!